If you are looking for an awesome and affordable way to invite everyone to your next great Halloween party, look no further. Our free printable invitations are a great way to make sure you have enough cards to invite everyone on your list. You can print out as few or as many as you need, all at no cost to you. Customize them on our website or leave them as is. 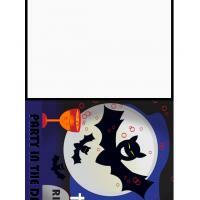 These great printable party invitation cards for Halloween feature a fun design with bats and other spooky Halloween pictures. They are great either for a child's party or for an adult costume party. Send them to everyone you can think of. You can print them on plain old printer paper, or if you feel like being a bit more fancy, try printing them on heavier cardstock. 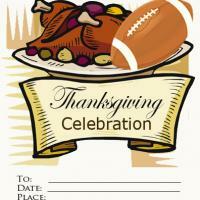 Have fun and enjoy our great printables today. Remembering every person you want to invite for a party can sometimes be hard, inevitably you end up forgetting someone. 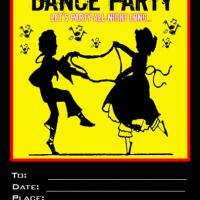 With these free printable party invitation cards if you forget someone you can just print out another card. No more having to try and figure out who you are going to invite so you can buy the right number of cards at the store. Our website makes party planning very easy and also very economical. 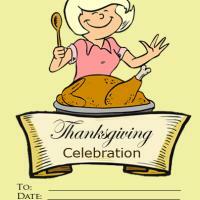 Our cards and printables are free for you to use. 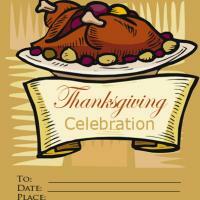 We have great printable invitations for many occasions. If you or someone you know is having a wedding or a bridal shower, make sure you check out all of our great invitations before you go to a specialty store to buy them. With a few simple items, such as fancy paper and envelopes and some calligraphy pens, you can have stationery store quality designs at a much lower cost. You can print up great cards in no time with our free printable invitations and fill in the information in the customizable section of our website. Enjoy all the great colors and fonts you can use. This way you save a lot of time rather than handwriting the information into the invitations. Guests will love getting these printable party invitation cards from you and you will love that they are free for you to use. Just make sure you have some paper on hand and print away. We have so many designs for you to chose from that you will easily find something that fits the theme of your party.